A model demonstrates the Clarins auto-lifting method for lymphatic drainage, something I do every morning. Sometimes it seems that I’m living under a never-ending to-do list of deadlines and obligations and appointments. I check one off and, like a weed, another grows in its place. Even that first-world mandate of “me time” feels like yet another item I need to satisfy before I actually get a break. And while I often feel like the only way I can legitimately “de-stress” is by paying a masseuse to knead away the kinks or an expensive hotel to lounge around its pool for a few days — as conditioned as I am by modern marketing — in reality, we can all de-stress in more low-key and everyday ways. If it’s the little things that matter, then I think the little steps we incorporate into our daily lives can make an accumulative difference in decreasing our stress levels. And since skin care is something we do on a regular (and if you’re me, obsessive) level, it shouldn’t be too difficult to add some stress-relieving steps that’ll make not just our skin but our entire being better. Here’s how. Who doesn’t love a massage? And a facial massage, for me, is the ultimate in luxury. But you don’t have to spend hundreds to relax under the gentle kneading and prodding of a skilled facialist. After all, Korean women don’t just pat on their skin care. They take the time to give themselves a little facial massage at various points in their regimen. One K-beauty executive presses her toner in with her palms, pressing firmly on her forehead, chin, and cheeks. Others, taking a cue from Korean facialists, use their knuckles to massage underneath the cheekbone and along the jaw for a contouring lift while applying a face cream. Sweep your pointer and middle knuckles from the apples of your cheeks to the temples. Starting between your eyebrows, sweep your knuckles up the forehead and down the periphery of your face. Gently press two fingertips underneath the eyes and sweep out and upwards to the temple a few times to release excess fluid. Slowly massage temples. If you don’t want to pull on the delicate eye area, press your fingers into various points around your eyes: inner corners, along brow bones, and underneath eyes. Again with your knuckles, start at your chin and push up and out along your jawline to the bottom of your ear to get that coveted V-line. Just make sure you use a hefty does of cream or serum so that you have enough slip, and you’re not pulling too much on your skin. There are all sorts of scents and essential oils formulated to do a variety of things, from energize to placate. But each of us has our favorite fragrances, so while lavender is supposed to help us sleep, if you don’t like that scent, it’s not likely going to do anything but give you nightmares. So why not relax with a fragrance you particularly love, one that results in an endorphin rush in your brain, if not necessarily anyone else’s? It’s not just room sprays or perfumes that can elicit such a reaction. Anything with a fragrance can help us to de-stress, even our skin care. Take a moment to deeply breathe in the scent of your favorite moisturizer before patting it on. (Yuri Pibu Cucu Black Truffle Cream has a gorgeously light scent of lemon bread, if you’re so inclined.) Massage your temples and underneath your eyes with a naturally scented eye cream. And if you love the herbal scent of that facial mist, spritz it on your face not just when your skin feels tight but when you’re feeling the pressure of deadlines. In fact, go a little crazy — spray your pillow before bed or mist your hair for a little halo of well-being. 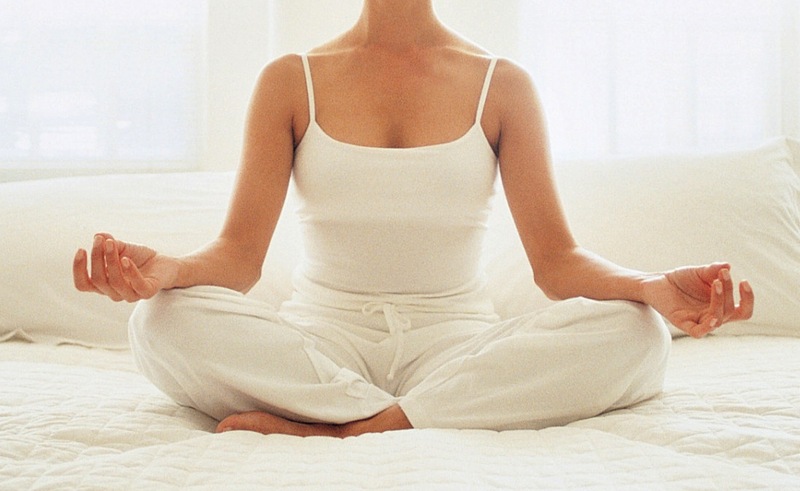 Regular meditation yields a plethora of health benefits, from improved concentration to a stronger immune system. But did you know meditation is also a great anti-ager? After all, science is increasingly confirming that stress is the cause of a host of beauty maladies, from acne to hair loss. And one of the easiest ways to decrease the stress level in our lives? Meditation. Of course, meditation may be an easy way to quell anxiety, but in no way is meditation easy. I admit, the few times I (barely) gave it a go, I was either too fidgety to sit still for very long or ironically felt anxious that I wasn’t doing it right. Funny thing is I can’t get myself to sheet mask more regularly because of that same problem — carving out 20 to 30 minutes when my face can’t move. So imagine if I killed two birds with one stone and sheet masked while meditating? Wouldn’t that double my anti-aging prowess? Because really, probably the only thing that will keep me still for 20 minutes is the thought that I’m actually multi-tasking in my meditation. Ranjana Khan demonstrating a facial yoga move for younger looking skin. Yes, it’s a thing. The same way yoga is meant to tone, relax, and balance your body, face yoga can help you rework your facial muscles that have practically frozen into a half frown or resting b-tch face. To smooth forehead and frown lines: Lift your forehead and open your eyes wide. To counteract eyelid sagging: Look up, lifting eyebrows as high as you can. Then keeping your brows lifted, close your eyes. To strengthen cheek muscles: Take a deep breath so that your cheeks puff up. Push the breath into one cheek and then the other. To smooth nasolabial lines: Place palms at your temples and lift up and back. Then make an elongated “O” with your mouth, stretching your face. To tighten the jawline and neck: Lift your chin high, press the tip of your tongue to the roof of your mouth, and smile. To relax: Close your eyes, and focus on relaxing your face except for a slight smile. Make sure to breathe deeply and evenly through your nostrils as you hold these poses for four to eight breaths, and take a 10 second break between poses with your face relaxed. Of course, the best part is you can do face yoga after your DIY facial massage. And now that you’re such a productive multi-tasker, you have two less things to be stressed about. Adapted from my story originally published on Glow Recipe. Such an informative post! I must admit this is one area I super lazy with. Enjoyed following along with some of the videos and your instructions. Maybe if I could just incorporate even one, it would be great. Do you find it makes a big difference? The more and more stressed I get (which seems to be every year), the more I find these de-stressing methods really do make a difference. At the very least, lowering my stress makes my skin look better overall, so I’m definitely a believer. I think the facial massage helps with my stress levels as well as my skin personally! I love these tips! I’m definitely going to try some of them out to de-stress – especially the face yoga haha. It’s fun and helpful for the skin! Haha, people may look at me strangely with the face yoga, but worth a try, no? Today precisely, I was thinking of this subject! 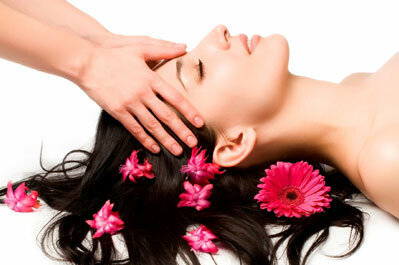 I was realizing that we need a facial massage, how to have one done at least once a week without having to pay more? I automatically thought of my husband! Dear, I will give you a facial massage and you will give me one too, it can be in different days, it doesn’t have to be after you have had your relaxing face massage, ok? 😀 So I thought, Ok, it can happen.. sometimes. Not always, I don’t know, maybe I’m wrong. So I thought about the self massage, it is also great, maybe not relaxing since I am moving and pressing. But I can do it when my husband doesn’t feel like massaging. OH! I checked the page link and studied the movements, I want to do them too and save myself from dollars at the beauticienne. !